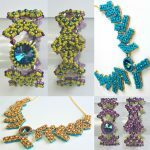 Would you like to learn how to make gorgeous jewellery? Beadweaving has been used for centuries to create beautiful necklaces, bracelets, brooches, earrings, the list goes on! It is a fascinating hobby. I see it as the ultimate construction kit with finished objects that you can wear! Using all of the latest new shapes of beads, I hold workshops to teach you the basics through to the more complicated items. 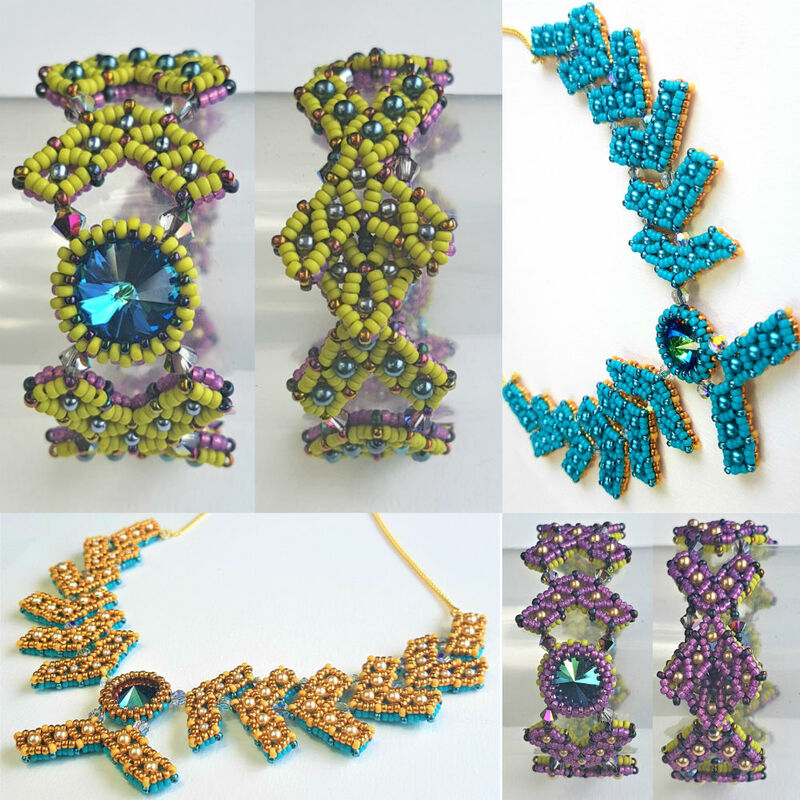 I also sell unique bead weaving patterns and a few items which I have created. 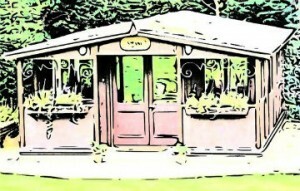 Bead weaving classes are held in the Bead Shack. 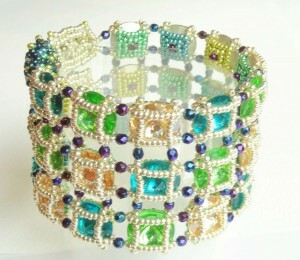 Find PDF’s of my beading patterns on Etsy.co.uk.